Also, we invite you to learn more about TEP Charter School and about teaching at the school on our Prospective Teacher Information Session: http://www.tepcharter.org/session-for-teachers.php. $46,000/year with 16 weeks off. Special Education Teachers needed in Arizona (Phoenix and surrounding cities). Needs are in the self-contained setting serving students with emotional disabilities (ED), Autism (A), Severe/Profound (S/P), and Intellectual Disabilities (ID). STARS is the largest school contract agency in AZ. STARS is therapist owned and operated. You will be an employee and receive full benefits (see below). With a proven track record, STARS is able to offer you an unbeatable support system and resources. STARS is hiring for the 2015-2016 school year. STARS places Special Education Teachers throughout the Phoenix, Tucson and the surrounding area public schools. Apply Online at StudentTherapy.com, we would love to hear from you! The Instructional Technology Resource Teacher (ITRT) is a full time, 10-month salaried employee who will work with students, faculty, and the administration to facilitate the integration of technology into all areas of instruction at Oakwood School. Oakwood is a K-8 school for students with average to above average potential who have mild to moderate learning disabilities without significant behavioral or emotional issues. Directly instruct students in the use of various software, hardware, and online resources, as well as computer basics such as keyboarding and file organization). Directly instruct teachers and support personnel in the use of technology resources. Act as a resource to teachers by researching and suggesting specific applications and tools to enhance classroom projects and activities. Monitor new uses or upgrades to current technologies in order to strengthen the use of existing resources. Research and initiate implementation of new technologies including software, hardware, and online teaching tools. Working with teachers in their classes to model best practices in integrating technology into all facets of the program. Helping to develop and cast vision for the future and how to help our students and teachers move forward in the use of technology. The Kelso School District offers a comprehensive benefits package for certificated staff including sick leave, retirement, medical, dental, vision, and long-term disability. Information regarding benefits is available at www.kelso.wednet.edu. Participate in additional duties to include: community meetings, Targeted Instruction, tutoring, off-campus learning and others as directed by the Academic Coordinator. Provide support to general education teachers and students. The Special Education Coordinator or Teacher is passionate about supporting the students who are at-risk for academic under-performance due to emotional and/or physical challenges so that they can succeed in the school's rigorous academic program. The Special Education Coordinator or Teacher holds primary responsibility for providing academic, emotional, and physical services for students who require additional support to thrive within the school's core academic program. Observe, at teacher's, parents' or administration's request, all students displaying academic or behavioral difficulties in grades K-6 to assess their learning strengths and challenges. Participate in classroom instruction as needed, focusing on those students requiring additional support, modification or enrichment. Provide informal pre- and post-assessments of individual children as requested by teachers, parents or administration. Develop instructional learning plans with long-term goals and specific objectives for identified students, including recommendation of in-school or outside resources. Provide written reports to school and parents with assessment results and recommendations of appropriate diagnostic testing and remedial programs for school-related learning problems. Direct one-on-one or small group instruction to students who need support in grades pre-K through grade 8. Initiate and attend parent conferences and professional meetings as needed. Coordinate and facilitate communication between student, family, school and other involved professionals and provide regular monthly student progress report in writing. Consult with teachers, parents, and administration and outside professionals regarding special learning needs of students and to prescribe modification plan, strategies and materials for classroom and home interventions. Maintain confidential student records and keep accurate documentation of sessions, meetings and other communications appropriate to ethical and professional standards. This position is Monday-Friday and is scheduled to begin July 2015. Compensation is competitive with a full benefits package, to include full health, dental, vision and life insurance, as well as a generous 403(b) retirement plan. Disability Program Coordinator - FT position in Silver Spring, MD for contractor to federal job training program. Requires strong analytical and computer skills. Send resume and salary requirements to jobs@humanitas.com. 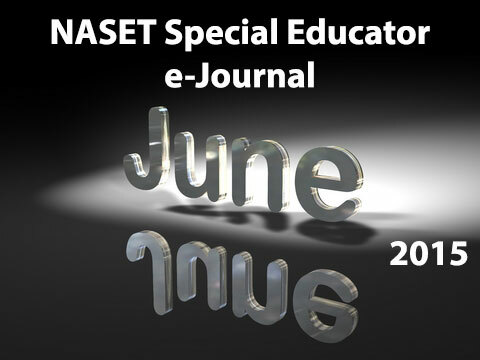 Catapult Learning is seeking Special Education Teachers in New Jersey and New York for the 2015-16 school year. Please note: This job posting is for potential Teacher openings and we are determining interest of candidates in this geographic area. Also, the total number of job openings has not yet been determined. Some positions may have the potential to be expanded to full time. Requires valid teaching certification, as required by contract. Teaching experience preferred.